Cramer & Anderson divorce and family law attorneys understand the stress and anxiety that divorce cases provoke. Divorce is at times painfully difficult for the parties, and while the end result is a dissolved marriage, the family does not have to be destroyed in the process. We strive to resolve our clients’ cases efficiently and in a way that promotes a new family structure that works. The majority of divorce cases are resolved by agreement rather than trial. 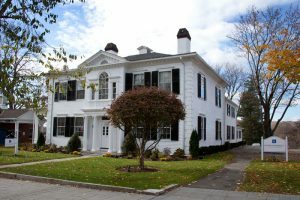 Our divorce lawyers in our Danbury, New Milford and Litchfield offices have decades of practical experience in guiding individuals and families through the difficult process of divorce, be it by way of adversarial litigation or collaborative mediation. We will meet with you in a private setting and explore the different ways of resolving your divorce. We will thoroughly explain the process, the cost and what outcomes are reasonable to expect. Our attorneys also guide clients in planning and implementing financial arrangements before marriage, including prenuptial agreements. In addition to objectivity and sensitivity, family law matters often involve tax, probate and estate planning considerations, knowledge and experience that can be offered by our full-service law firm. We utilize the latest financial planning tools that assist us in achieving the best result for you and your family. In those cases in which the financial or custodial issues are too complex or contested, and when mediation is of no avail, we stand ready to aggressively litigate our clients’ interest and have done so in many cases. Related areas include Tax, Real Estate, and Estate Planning.